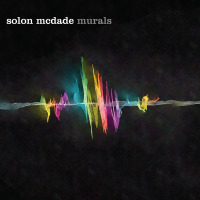 This is the debut release by ace Canadian bassist and Juno Award winner, Solon McDade. And it's a welcome surprise, to say the least. Think of classic small ensemble Prestige or Blue Note recordings with a modern uplift and state-of-the-art recording processes to conjure a good idea of the quintet's deportment and stylization. McDade is an impressive composer, demonstrated via these effervescent, buoyant and melodic works, to complement the quintet's first-rate musicianship and inimitable synergy. With bop phraseology, and medium and fast-paced swing vamps, the band revitalizes the modern/mainstream jazz days of yore with a progressive flair. The soundstage contains a smidgen of reverb to provide a bit of depth and to also radiate the woodwinds with a slight afterglow, similar to legendary audio engineer Rudy Van Gelder's pristine and transparent analog sound designs. The band abides by an egalitarian mindset, as alto saxophonist Donny Kennedy and tenor saxophonist Jeremiah McDade generate weaving textures and soaring choruses atop McDade's booming and harmonious lines. Toe-tapping grooves abound, and yet, the musicians' articulate funk vibe on "Buy The Tractor" is sparked by drummer Rich Irwin's snappy hits and polyrhythmic fillswhich, along with McDade, drive the energy level forward amid pianist Paul Shrofel's tuneful block chord configurations. In addition, most of the leader's works are etched with genial themes and memorable hooks. The front line's lyrically resplendent solos are largely sketched with melodic content as the dual sax attack ups the ante, often building solos with blossoming crescendos. However, they moderate the flow with the up-tempo ballad "Whatever Whatever," highlighted by the pianist's eloquent movements and understated dynamics, as the saxophonists' tepid extended notes gently caress the primary motif. Here, the bassist's poignant, melancholic and emotive solo offers a strong counterpoint to the main theme, followed by Kennedy's high-flying solo. "Blues For Sebastian" is a medium-tempo swing jaunt, accelerated by an old-fashioned saxophone blowout. Otherwise, it would be a crying shame if this album were to go unnoticed in the US and Europe. It's not about acrimonious complex unison lines lacking tangible themes, or a bunch of cats rummaging through scales. On the flip side, Murals is the real deal. Track Listing: He's A Problem In The Locker Room; Buy The Tractor; Do Airplanes Scratch The Sky; Whatever Whatever; The Ballad Of Sir William Ormerod; Off The Bed Rose; Blues For Sebastian; Ali's Seconed Line; A Shorter Thing. Personnel: Solon McDade: bass; Donny Kennedy: alto saxophone; Jeremiah McDade: tenor saxophone; Paul Shrofel: piano; Rich Irwin: drums.